Flint Beat launched in 2017 after the community said they wanted more empowering and impactful news to help them make informed decisions. We are an independent and nonpartisan newsroom that covers Flint from the voice of the community. 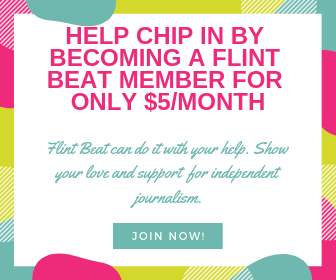 We firmly believe that Flint Beat is a platform for Your Community, Your Voice and Your News. Our newsroom couldn’t do this without you. Help us continue our work in Flint? Sign up for a $5 monthly membership HERE, and power the future of local, independent news. Subscribe to our weekly news roundup!